Yesterday we spoke about MediaLab-Prado‘s plight in the face of its threatened enclosure. Today we’re republishing an Open Letter pleading for help, penned by José Luís De Vicente, director of the Visualizar Program for Data Culture and part of MediaLab’s defense collective. Along with the letter, there’s a video from a year ago featuring international figures showing support for the lab. 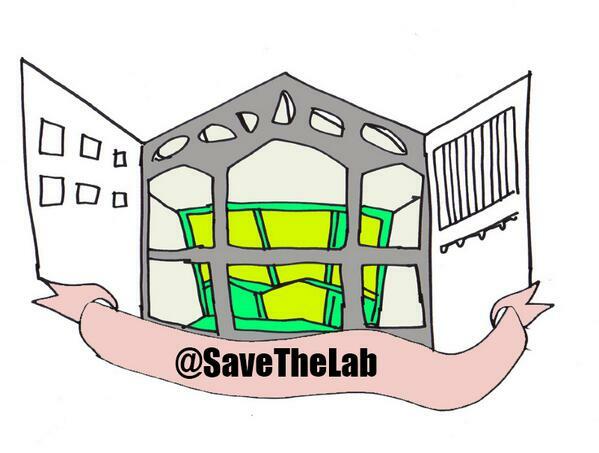 Probably many of you have already heard about the serious problems that Medialab Prado is undergoing currently that threatens to stop the activity of the center and maybe, in the mid term, it’s very existence. I know many of you have in the past years taken part in projects and activities there, and have good memories of the institution. Even those of you who have not been there have heard about it and know it’s an interesting, lively place that has made significant contributions to this community. Now it needs as much support from the community as possible to go on. Less than one year ago, Medialab Prado opened, after 5 year of renovation and 6 million Euro of public investment, a brand new building. A new facility that multiplies the size of the previous space by eight and creates all kind of new opportunities, with much better resources. While the previous space kept the organization relatively under the radar for many in the city council, the new building is really iconic and has raised the profile of the organization considerably. The reality is that Medialab Prado could be stuck in a limbo for a very long period, and any development from the possible eviction onwards is at this point very uncertain. The community of users of Medialab Prado has serious concerns that this could start a process that could end with the death of the institution. To make things worse, it’s important to notice that the building that Telefónica wants to take over has been renovated with public money and with the specific goal of being a cultural facility. We need to show the City Council in clear terms that Medialab Prado is an important institution that is highly respected and valued internationally. One of the most ironic aspects of this situation is that given the problems they’ve always had to understand what is Medialab Prado -not being a museum, a gallery, or an arts production center- they have never been understood that this is one of the most influential and valued cultural institutions today in Madrid and Spain. That is all. If you have other suggestions or contributions, please let us know. Thanks for helping us keep Medialab Prado alive.